Bryant Digital has the skills and passion needed to grow your business, and attract more clients. We’ve found that focusing on desired outcomes instead of tracking billable hours always moves the needle farther, faster. We never make excuses, or deliver less that what we promise. We price our services at levels that provide room for creativity – and plenty of room for ROI. Were experts in awesome. Brand Strategy, Marketing Strategy, Business Consulting, Data Science, Market Analysis, Research. Fully Integrated Marketing Campaigns, SEO, SEM, Influencers, Social Media, Email, Events. Web Design, Photography, Videography, Mobile Apps, 3D Modeling, Product Design, Prototyping. So, what is SEO? Virginia Beach SEO helps grow your business by increasing your websites traffic. Achieving ranking #1 places you in front of local customers at the exact moment they are looking for a company, or service, like yours. 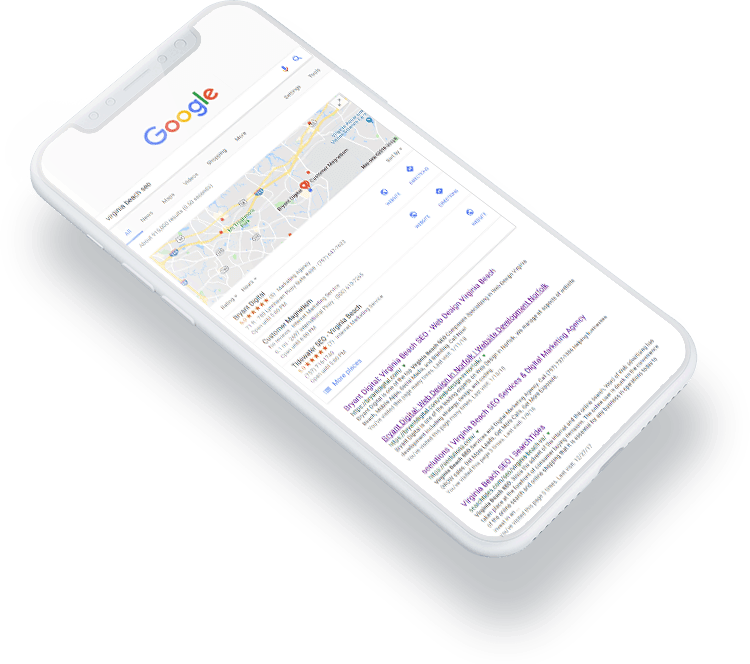 Our SEO team has developed a proven search engine optimization process guaranteed to attract more customers, and increase your website traffic. Bryant Digital will position you as the leading expert in your industry. Google has released data show us that 90% of online experience begin with a search engine, and rank #1 on google gets over 40% of the clicks. Being placed higher search engine results page for important keywords will greatly increase your targeted web traffic. The formula is simple, if you have more traffic you get more website leads. Your business has a refined product or service, just not the online visibility for customers to find it. Bryant Digital’s web design and Virginia Beach SEO experts will skyrocket your brand exposure, website traffic, and high value leads with amazing Return on your investment. Teaming up with us to build your Virginia Beach SEO rankings is the start of a long lasting partnership. At Bryant Digital, it is our goal to grow your business and attract your ideal clients. Our web design Virginia Beach team will ensure your digital platforms are optimized to convert this traffic into qualified leads. 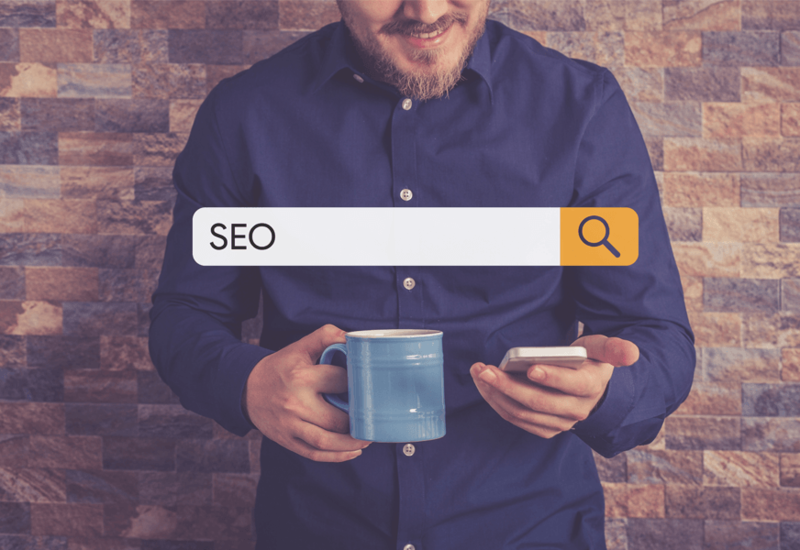 Being at the top of search engines with SEO Virginia Beach is a huge step towards gaining control of your market, and is necessary to scale your company to its fullest potential. Our proven search marketing and optimization strategy is based on the latest rankings factors. We build your website in a way that makes search engines like Google understand them. Following the rules will get you placed you higher in the search results for targeted keywords. Ranking factors include a cohesive relationship between: content generation, social media marketing Virginia, high domain authority back-links, press releases, and great on-page optimization. Before our ranking efforts begin, we will determine keywords with the highest ROI potential for your business. Keyword research, competition analysis, search volume, relevancy, and location all play a huge factor in keyword selection. Keywords that include your city or state often receive a higher amount of relevant web traffic. Research and analytics allow us to pinpoint the best keywords, with the best return for your business. As a part of our SEO process, we include a detailed analytic ranking report each month. You will be able to track the progress our team is making throughout the duration of your Virginia Beach SEO campaign. No Long-Term Contracts. Results Based SEO. Yes, you read that right. No long term SEO contracts required. We would love to talk to you about how we can help your business with search engine optimization. We encourage you to contact one of our local SEO experts for a no pressure conversation style consultation. Don’t have a website? no problem, we have some of the best web developers in Virginia Beach on staff. All of our Virginia Beach SEO campaigns require no long term contracts. Our clients stay with us because we deliver real results, not because they are locked into long term contracts. If you are unsatisfied with our Virginia SEO services you can choose to cancel it at any time. Interested? Contact one of your local search engine optimization experts today! Our team of experts at Bryant Digital are here to help your business grow by attracting local customers through custom, organic content. By partnering with us you will be placed directly in front of your target audience exactly when they are looking for you. If you want to be backed by the best Virginia Beach SEO company contact us today. We would be happy to answer any questions regarding Virginia Beach SEO. Beautiful Responsive Website Design With Powerful Big-Data Capabilities. In this crazy and ever evolving digital world, web-trends vary daily. At Bryant Digital, we are always on top, tracking and monitoring these innovating trends. 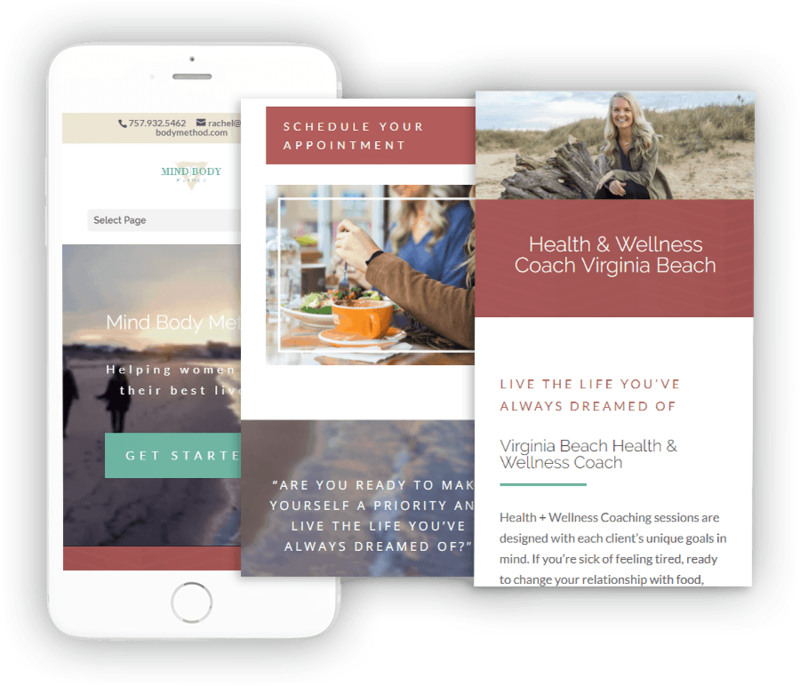 Using our user experience focused approach, our web design Virginia Beach services are designed to appeal to your customers. Having a great website should be the foundation and central hub of your brand. Let us design you a beautiful website that interacts with your customers, and converts leads into ROI. Virginia Beach’s Leading Mobile App Development Team. We live and breathe in the mobile revolution everyday… and we love it. Our Passion for mobile app development Virginia drives us to bring our clients the best ideas, UX design, and talent for mobile app development. Have an app idea? Let’s chat today! Bryant Digital is the industry leader in social media marketing Virginia. We use social media platforms to acquire new customers and to build brand image. Facebook, Instagram, and Linked-in are just a few of the social platforms we use to build your brand. We have a proven strategy of creative testing, refinement, and finalization for complete efficiency. We target groups with similar interests within a demographic, produce new photo and video material, and hit online users with a wall of engaging niche based social media content. A brand identity is so much more than just a logo and color palette. A brand’s identity is responsible for setting a business apart from the rest. Our branding work is always process driven. Our strategists listen to your vision and our photographers in Virginia Beach turn it into reality. We will execute all aspects of branding including video production Virginia Beach, copyrighting, and Virginia Beach graphic design. 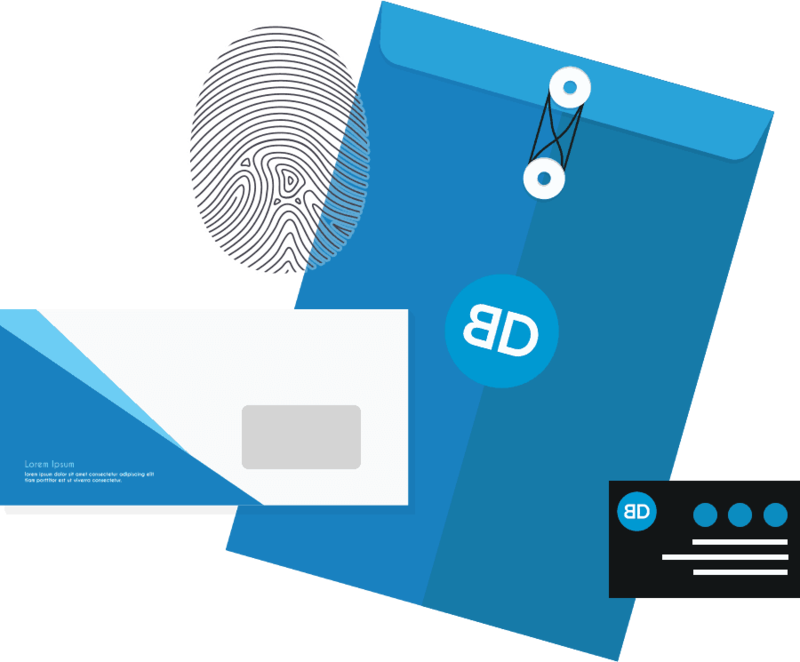 Whether you want to rebuild your existing brand or launch a new brand campaign, we will make sure your identity is polished and that your voice is heard. We want to help you create something awesome!